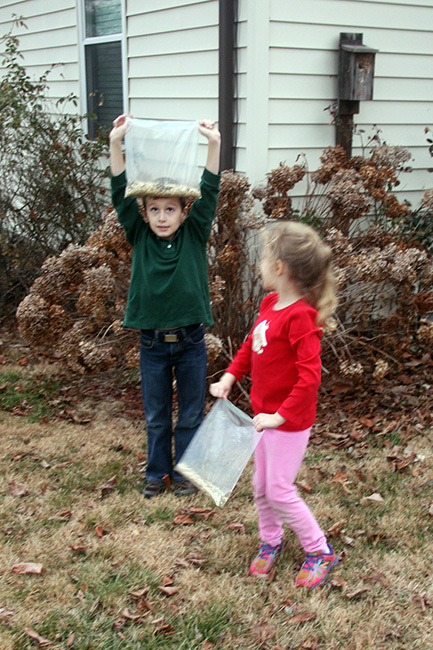 Our first year making Reindeer Food. So fun! 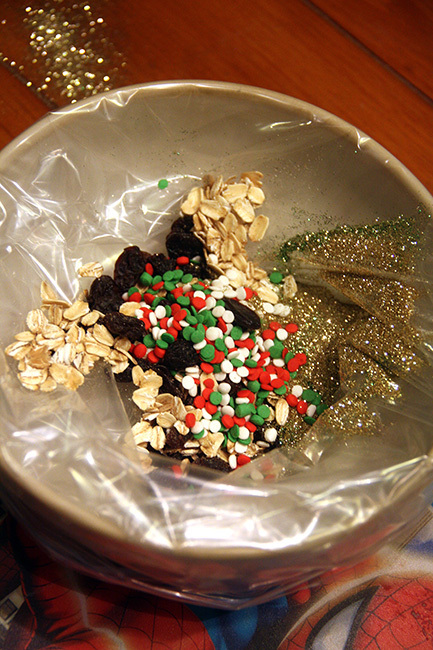 I have seen a lot of people making ‘Reindeer Food’ the night before Santa visits.The glitter in the food helps the reindeer find the house easily and then there is some oats/raisins mixed in to feed the reindeer. 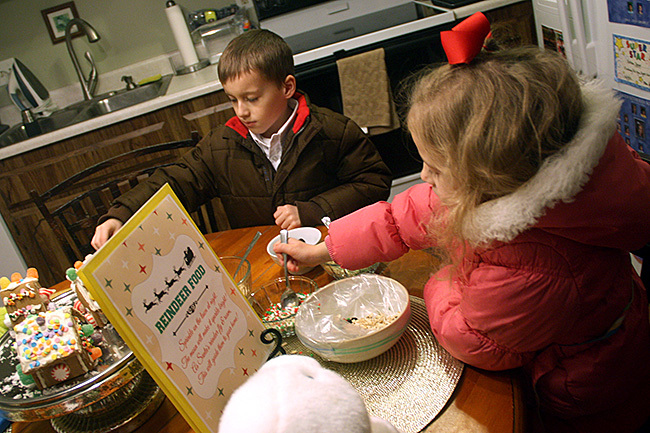 I set the table so that they could make little bags of reindeer food after we arrived home. 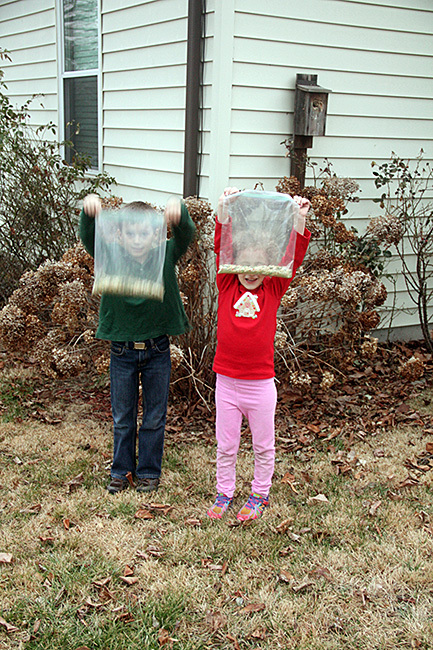 We made the reindeer food in plastic bags so that we could sprinkle it on the lawn a separate night. 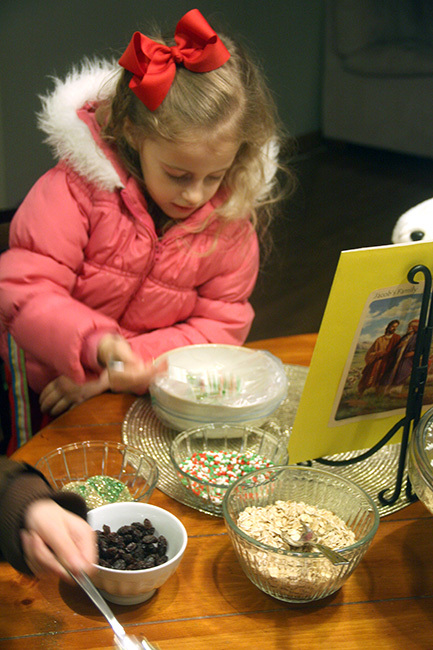 When we arrived home, the kids were so excited about making the reindeer food that they didn’t even take their coats off! LOL! I didn’t even realize this until I looked at these photos later when I was prepping them for this blog post. I think it is sweet how excited they get about making a special treat for their furry friends. 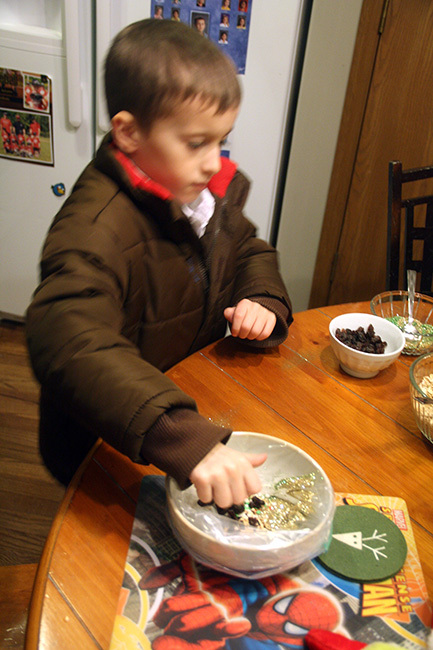 This photo is a little blurry, but I was surprised at how excited Nathan was to make this reindeer food. He is not really into crafts or cooking like Autumn is… but, he loved this! I put one freezer bag around one of our regular bowls and let the kids dump the ingredients into it. Then, I pulled the bag off the bowl and zipped it up to use later. I also let them shake the bags after we zipped them close in order to ‘mix’ the ingredients. This was Nathan’s bowl. 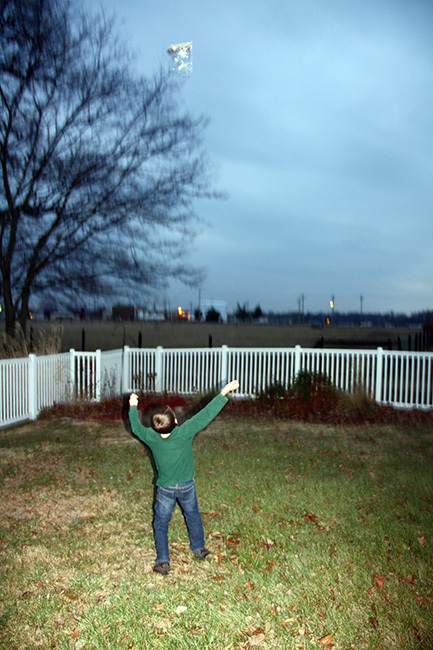 We put our reindeer food outside a little early, but I told the kids it would stay put until the reindeer arrived. Here are the kids holding their bags up for a picture for me. This was the best I could get of them before they went wild. Notice how it is light outside still. 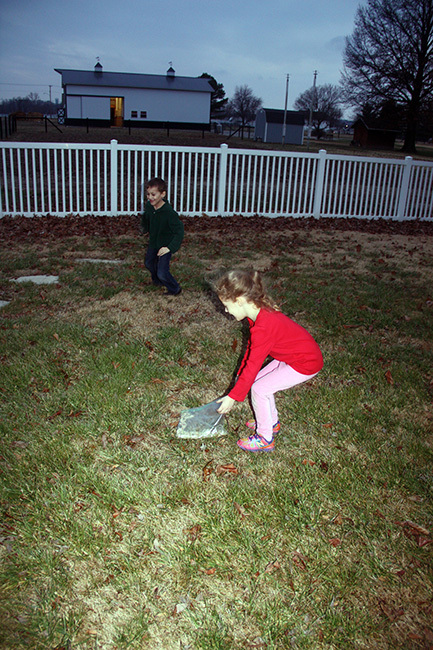 Running around the yard with their bags… lol! See how dark it is in this picture compared to the last one? It got dark fast! 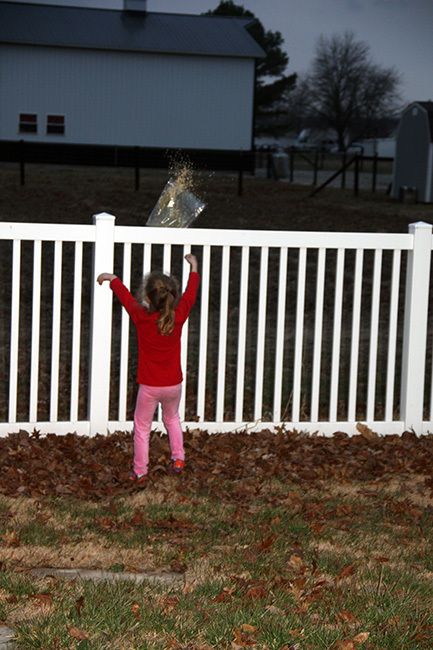 Autumn trying to throw her bag over the fence. 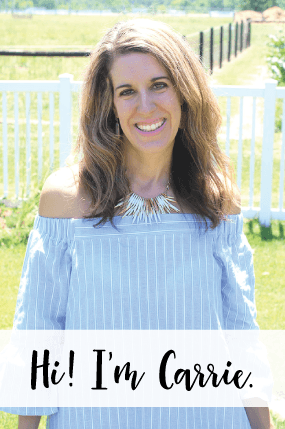 That girl! 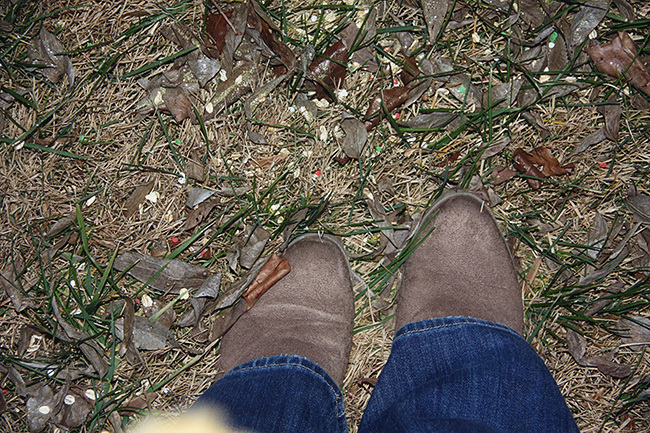 I can definitely see the reindeer food in the grass! I bet it’ll be gone after the reindeer come and gobble it all up. nomnom. 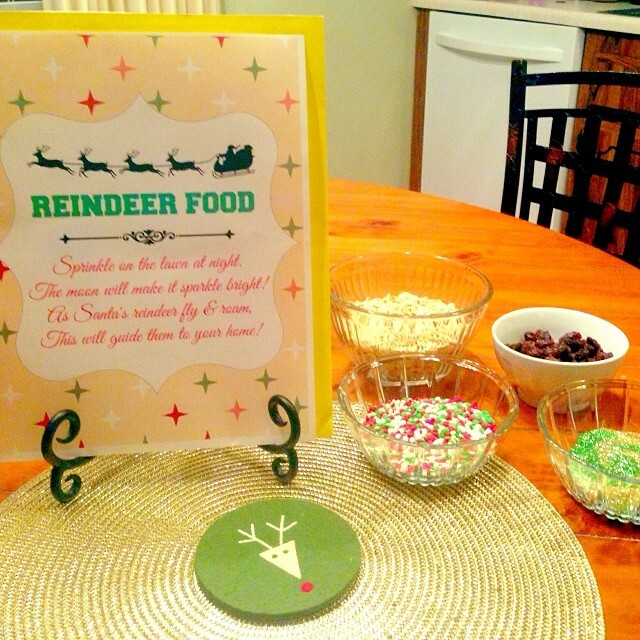 Hope you get a chance to make some reindeer food of your own today and if you are looking for a free printable, I used this one (click HERE) that I pulled from Pinterest.